Kevin Gravill is a local Electrician based in Barton upon Humber, I serve the local towns and villages. I am proud to be registered with the NICEIC as a Domestic Installer and are able to self certify my work and notify building control authority of work carried out where required. I started in the industry at 16 years of age and served a full apprenticeship and have over 25 years experience in the electrical industry in both Domestic and commercial sectors. Most of the work I carry out is in and around the home. 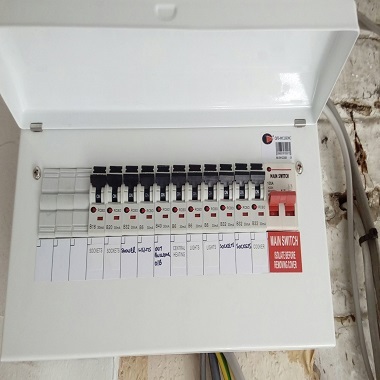 Anything from fitting new lights / sockets, Extra circuits, New consumer units, Electrical installation condition reports, Rewires and new build electrical installs. The list can go on, so what ever your requirements hopefully I can help in some way. Just give me a call on 07864 852586 or 01652 633411 and I can arrange a time to call and discuss your needs. Prices start from £30.00 per hour, I have no hidden costs and am not VAT registered. Most of my work comes from you. The home owner. Many of you think its hard to get tradesmen to come out to quote or to do small jobs. I understand a job is a job. I understand that something that has been bothering you for a long time might sound a trivial job to you, but I am happy to come out to do any job for you large or small. I dont charge for quotes. So next time you need a switch changing, new sockets for new kitchen or a rewire, feel free to contact me. Sorry I do not carry out PAT testing. Sorry I do not install security alarms, look for a SSAIB registered installer for your own piece of mind and insurance protection. Give me a Call, Email or Text. I like to think I give good service, just read some customer reviews! I like to keep you informed, so if I arrange to come on Thursday at 2.00pm I like to make sure I make it, if not I make sure I give you a call. There is nothing worse than to wait in for a tradesman who then does not turn up ! Just because I have finished your work doesn`t mean I stop caring. If there is anything you need to change or something has stopped working. Just give me another call and I will pop round to see you and have a chat. Again I find lesser contractors do shabby work and when you need them, they decide they dont want to speak to you. Again I like my customers, so like to think nothing is too much trouble, it all starts with talking! When I arrive to give you a quote or a chat about what you need. I have to assess a few things around your home that are required for me to do the work. I have to check the existing earthing arrangements to make sure it is classed as safe. I will look at where your electricity meters are, your Gas intake position and also your Water intake position. I have to check to see if there is an Earth Bonding Conductor present and at the correct size. 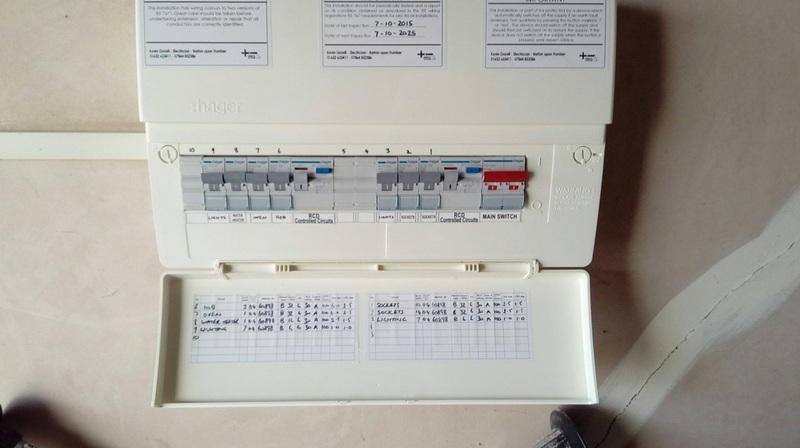 I also have to check your consumer unit (fusebox) most of any new work within your house will need to have an RCD for additional protection. 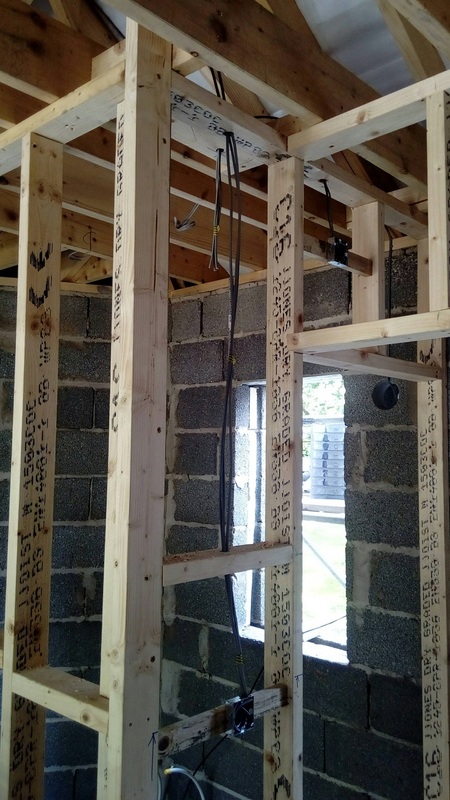 If after assessing your existing electrical installation to find that these things are not present, I will advise you as to their importance and that it is a requirement for works to proceed. Another problem I come across is lack of CPC (the circuit protective conductor within the cable) at lighting points in older properties. I also carry out some work in commercial premises and light industrial units. 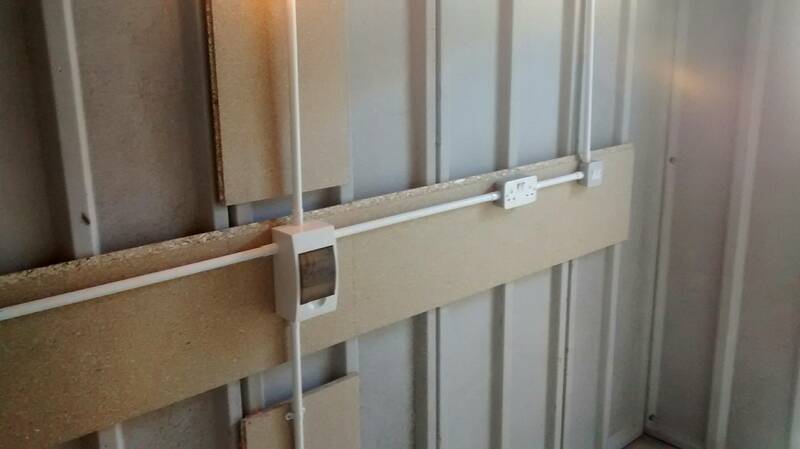 I can supply and install Dado trunking systems with power and data networks for your office areas, I can install 3 phase items and control equipment in your workshop. The same rules of safety apply to your properties as what are required to work within your home. The same pre work check list is observed, and the same test certificates are issued. 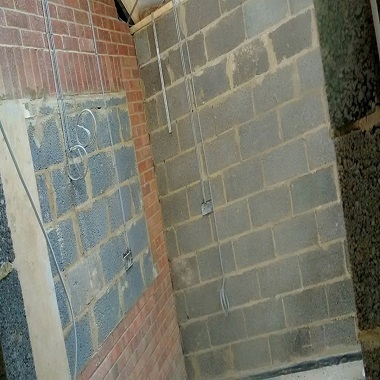 Registered with the NICEIC, able to test, certify and notify building control of work carried out . Polite, Professional, Reliable, Clean and tidy. Very good in communication, quick and efficient. Would hire again. Dear Kevin, Thank you for the Certificate and Invoice. We are both very happy with your work and hope that we will be able to offer you more work in the future. Very polite service. Nothing was to much trouble. Definitely will keep the contact for further reference. Kevin was prompt, efficient and helpful. He carried out the work with no fuss and at a good price. I would definitely recommend him. Kevin turned up on time was courteous and polite, and all the work was carried out in a very professional way. I'm very pleased with his work and wouldn't hesitate to recommend him to anyone who needs an electrician to do any job. For once in a long time a tradesman who takes pride in his work does the job you've asked and charges the price he quoted. Quick response, job well done arrived early ,pleasant to deal with. Kevin was very professional throughout the job, his attention to detail was reassuring. He did not take any short cuts and explained in detail what he would be doing. His quote was very competitive. I would have no hesitation about hiring Kevin for any future electrical work. I highly recommend Kevin to anyone looking for a honest reliable electrician. Came sooner than expected and fixed the problem straight away. Kevin is extremely professional, came in and got the job done in the time that he said he would. Very reasonable rates and was happy to be left to it whilst we were out doing errands. Highly recommended and will be using in the future. Kevin was very punctual, in fact he arrived early! He checked the safety of the electrical supply to the house and then advised on the best way to do both jobs. He discussed where we wanted the heater and security light and then installed them neatly and efficiently. Kevin cleaned up after himself and was pleasant and approachable throughout. I have kept his business card so that I can ask him to do other jobs in future. 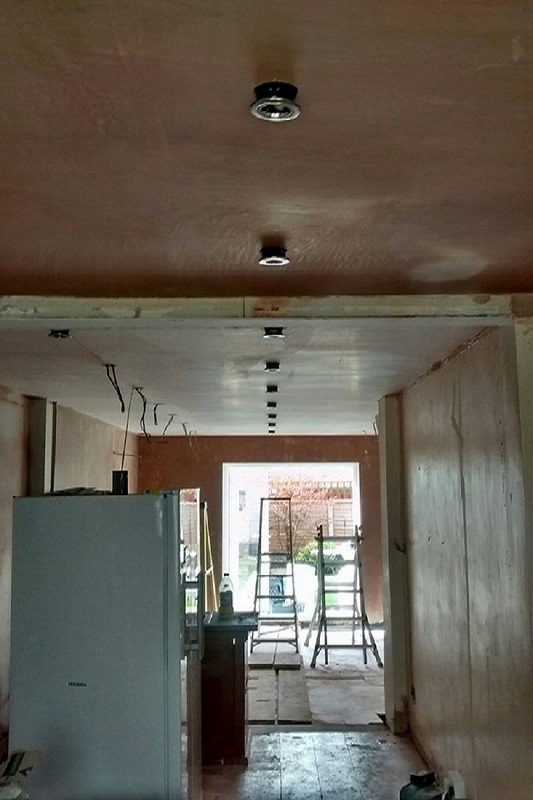 We have hired tradesmen from My Builder before and pleased with work carried once again we hired a top quality electrician for some security lights fitting we are highly delighted with work he did for us Donna my partner said he came along was very polite and just got on with the work very professional and very competitively priced we would like to recommend Kevin to anyone wanting a quality service doing. Thanks Kevin would be happy to use your services again Regards Mark and Donna. Great job, reliable gave us a time he would be there and stuck to it. Definitely use him again on other projects. Thanks for a very good job. I will certainly recommend you and use you again. Excellent, job done easily and efficiently, no fuss and no hidden costs etc. Excellent Service ,Excellent Price .I will definitely be using Kevin again . Professional and efficient service. Recommended. Kevin was great, turned up and fixed the airvents there and then, he also fitted me a new light in my bathroom. Both jobs were done for a great price. Would definately use again. Thanks. 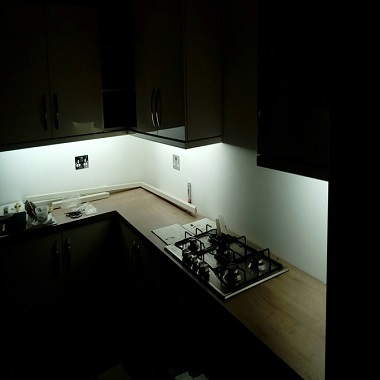 Quote was reasonable and job was done on time and to a high standard. Would hire again. Well done Kevin. Did just what it said on the tin. 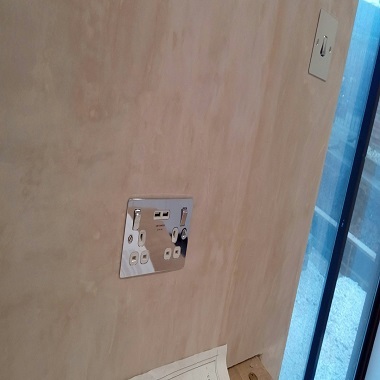 Fitting of new consumer unit and re-Earthing (Old house), fitting and rewiring new plug sockets, rewiring and moving celling light, wiring up and fitting alcove lighting. Kevin arrived on time and got started straight away. Took exactly the time he said it would take and cleaned up afterwards, his work seems very methodical and Professional. I would defiantly use Kevin again. Hi Kevin.Thank you very much for doing a great job with the extra sockets - much appreciated. Kevin has installed light fitting exterior and interior and also completed some kitchen electrics. He is punctual, reasonably priced and very tidy and cleans afterwards. Having moved into the area, we are so thankful to have found a professional, friendly and reliable electrician in Kevin. No job was too much trouble and Kevin went out of his way to ensure we had the new oven installed quickly.Have already recommended his services and will continue to do so. Steve and Sarah, Barrow Upon Humber. Thanks for doing a great job and getting round to us so quickly. Mr Armstrong. Customer from Barton upon Humber • August 2014. 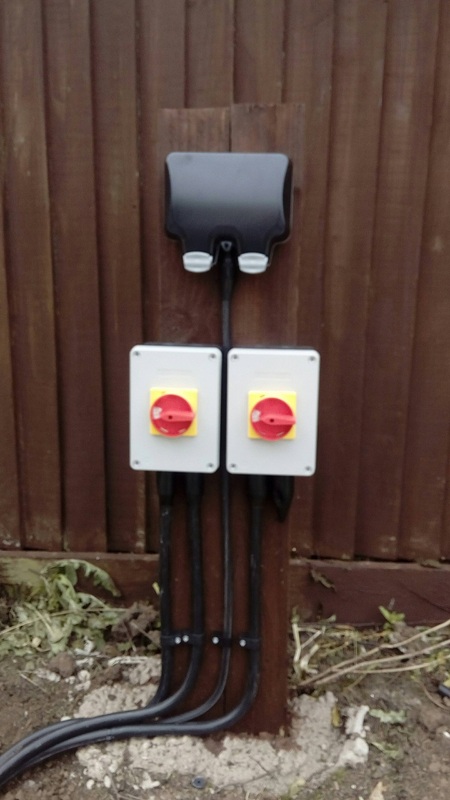 1/ Install electricity supply to our summerhouse. 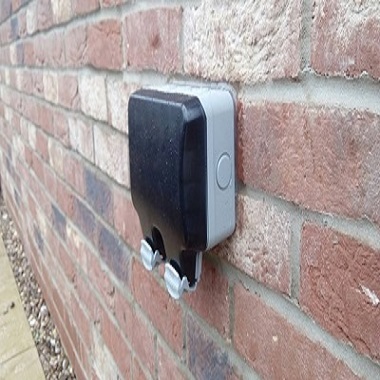 2/ Install remote control garage door opener We have no hesitation in highly recommending Kevin Gravill. Both jobs that he has carried out for us have been completed to a high standard and his professionalism and reliability has been beyond question. He has responded quickly to our queries and his charges have been eminently reasonable. We are very happy to have found such an excellent electrician and will undoubtedly call on his services again whenever the need arises. Customer review through mybuilder.com. Barton upon Humber • September 2014. 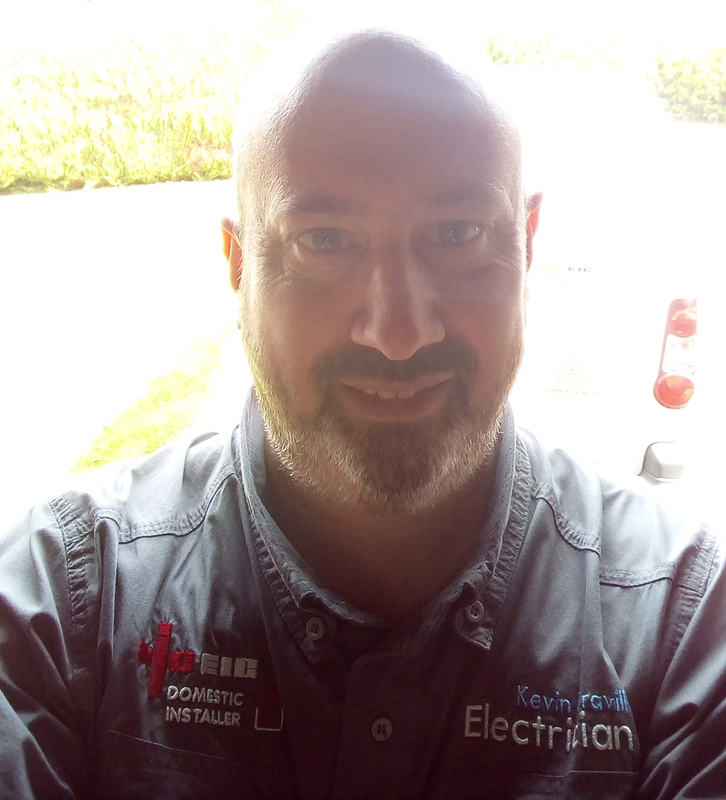 Kevin has completed several jobs for us recently, Prior to using Kevin we had two previous electricians we thought were good, but Kevin has definitely surpassed their quality of work. He is always prompt to attend, both to assess and carry out the work. He is very well organised , and neat with high standards and works methodically. Another refreshing feature with Kevin is the fact that he is prompt with providing a professional detailed written description of the work he has carried out with an invoice and his charges seem to be fair and not excessive. With other electricians this documentation and breakdown of work, is not always forthcoming, and has to be chased after vigorously. I wish we had found Kevin many years ago. Customer review from Mr Tooke, Hibaldstow. • June 2018.
a)	All electrical installation work will comply with BS7671: 2018 and any amendments in force at the time of the works. b)	All electrical installation work will comply with applicable Building Regulations in force at the time of the works. 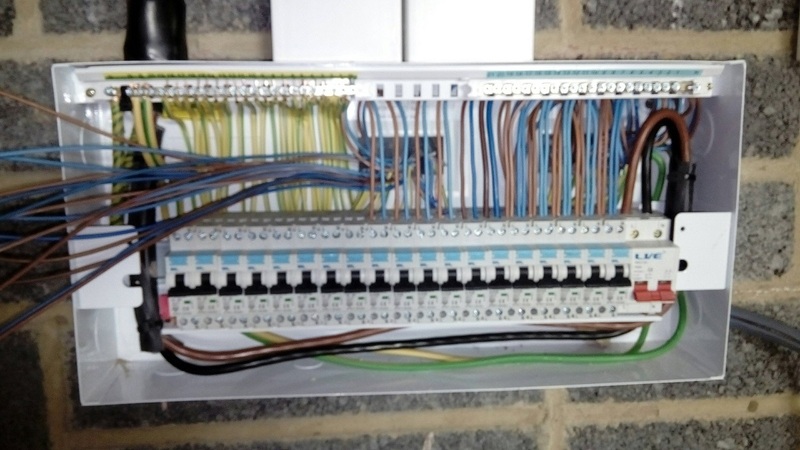 c)	Where work is to extend or modify existing circuits, costs quoted assume that the existing installation is in adequate condition and complies with minimum current regulations. 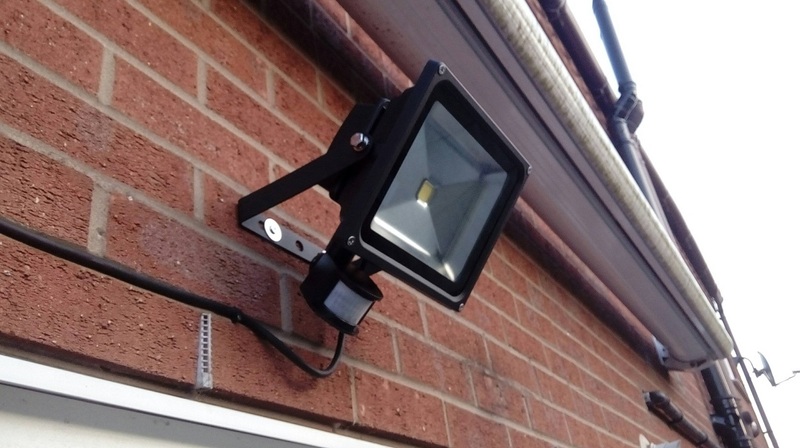 Any works found required to bring the necessary parts of the existing installation up to standard will be at additional cost. d)	Unless stated otherwise, all cables will be concealed by chasing into the building fabric or concealed in building voids, under floors, etc. Where impracticable, cabling will be neatly surface run, either clipping direct or housed in trunking / conduit. e)	Where carpet or flooring coverings may require lifting to allow concealed installation work, no charge is made for this service, with best endeavours being made to avoid damaging them and to refit them to an acceptable standard. However, consideration of employing a specialist fitter may be prudent, at your cost to affect a fully satisfactory reinstatement. 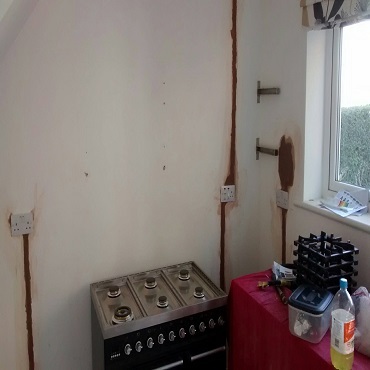 f)	Where agreed beforehand, chases to walls, etc will be re-filled to 2mm below plaster finish depth, however final finishing of skim coat plaster and final decoration is excluded. g)	All endeavours will be made to undertake installation work to a clean standard, using dustsheets and vacuum cleaning equipment as necessary. h)	Whilst undertaking the installation work at the property, the client is required to provide water and power free of charge. a)	Clearing and / or moving of furniture and other items blocking access to work areas are not included. b)	Except where detailed, builders work (creating of holes larger than 50mm diameter, creating of support structures, etc) are not included, except as outlined in 1d, e and f above. c)	Re-decoration and final making good are excluded from quoted costs, unless specifically detailed as included. d)	Removal from site and disposal of rubble, fittings, wiring, materials, general waste and packaging is not included. a)	All extras and variations must be agreed in writing prior to commencement. a)	The costs quoted assume continuous and unhindered access to the site by prior arrangement with you. b)	Unless stated otherwise, the costs quoted assume standard working hours between the hours of 08:00 hrs – 16.30 hrs Monday to Friday inclusive. Work required outside these hours may attract out of hours premium rates. c)	Any additional work not covered in our quoted costs will attract additional time charge rate of £25.00 per hour plus materials cost. d)	All figures quoted are valid for a date of 30 days from the date of the estimate or quotation. a)	All work where applicable, will be executed fully in compliance with applicable Building Regulations and BS7671 in force at the time of the work, particularly in respect of work in dwellings to allow the legal Part P obligations to be met. Where a Client requires deviation from such regulations, a written instruction and record will be required. a)	The risk in all goods supplied shall pass to the Client upon delivery. b)	All goods supplied shall remain property of Kevin Gravill - Electrician until all sums due have been paid in full. c)	The client is responsible for ensuring that the property is insured for the duration of the installation work. a)	Kevin Gravill - Electrician warrants its installation work to be defect free for a period of twelve months from invoice date. Such cover does not extend to goods not supplied by Kevin Gravill - Electrician, physical damage to products, or any instance where the original installation has been altered or tampered with subsequently by third parties. a)	Unless agreed in writing payment in full must be made within 7 days of completion of the specified works to Kevin Gravill -Electrician. b)	Stage payments will be requested by prior arrangement where planned works take longer than 30 days. We reserve the right to request from you stage payments in the instance where works take longer than 30 days. c)	Any late payments will be subject to a £25.00 admin charge. d)	Any late payments not forthcoming after late payment charge will be taken to collection agency at our discretion, all related costs will be passed onto late payee. When you are searching for an Electrician in Barton upon Humber, Barrow, Goxhill, Hull, Hessle & Beverley, make Kevin Gravill Electrician your first choice call. Copyright 2019 ©. Website maintenance and contents by Kevin Gravill.